Losing contacts on your device especially when they are important contacts can be frustrating. Yet, it happens a lot. It is not very uncommon to find that you actually accidentally deleted the contacts or you dropped your iPhone and lost some of the contacts on the device. If this happens, your best bet is to restore the missing contacts either from an iTunes or iCloud backup, if you have one. In fact, a backup ensures that any data lost is not lost for long. 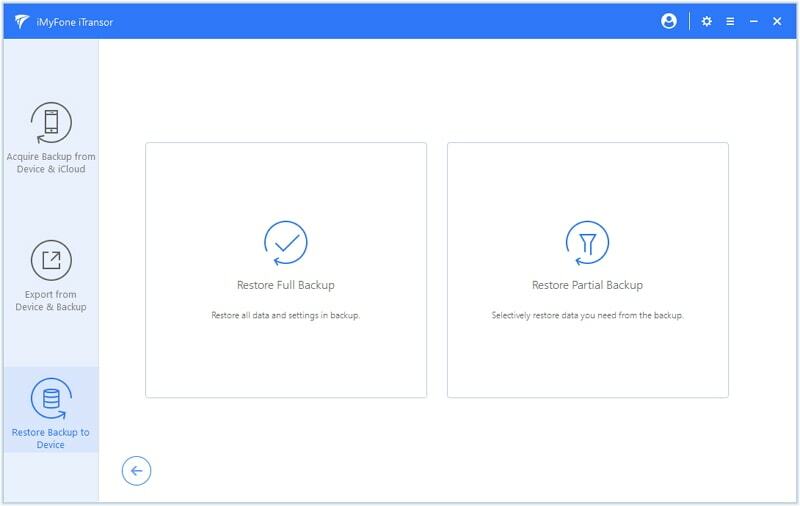 But while it is easy to restore an iCloud or iTunes backup, it is worth pointing out that these two Apple recommended backup and restore solutions do have a few shortcomings. To begin with, you are unable to see the contents of the backup file. This creates a unique problem where you can't restore just your contacts. You have to restore the entire device and this can be problematic in its own way. But we are here to offer you a solution to this problem. There is one powerful backup and restore tool that allows you the control you need to selectively restore data from an iTunes and iCloud backup file. 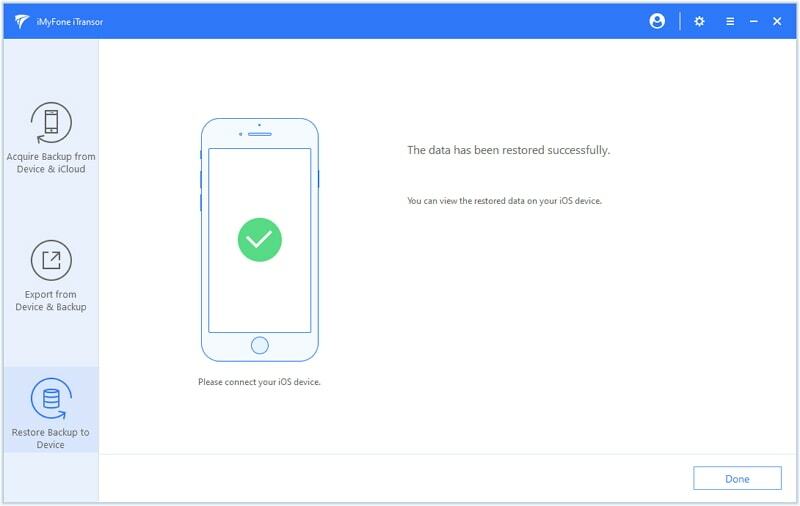 This tool is iMyFone iTransor (renamed from D-Port Pro) and if this ability seems like the icing on the cake, that's because iTransor can do more than just allow you to selectively restore data to your iPhone. The following are some of its other handy features. 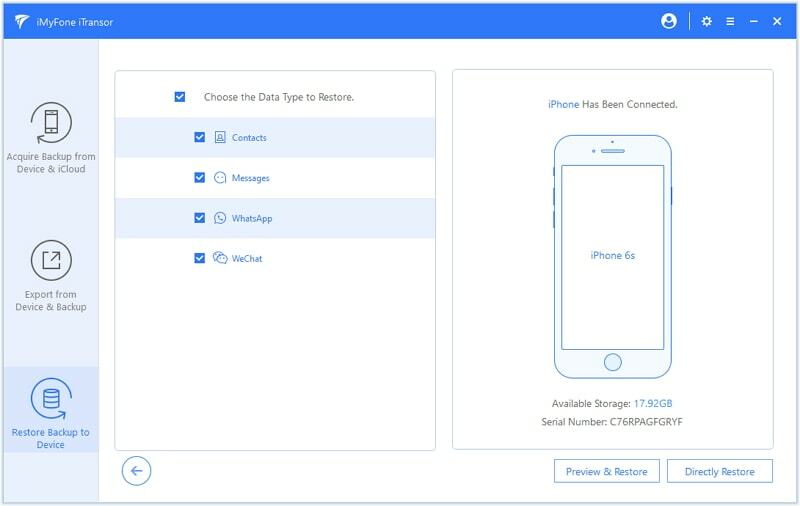 The current version of iMyFone iTransor is able to restore only contacts to your iPhone, as well as Messages, WhatsApp Messages and WeChat data. Do not hesitate to try iTransor. 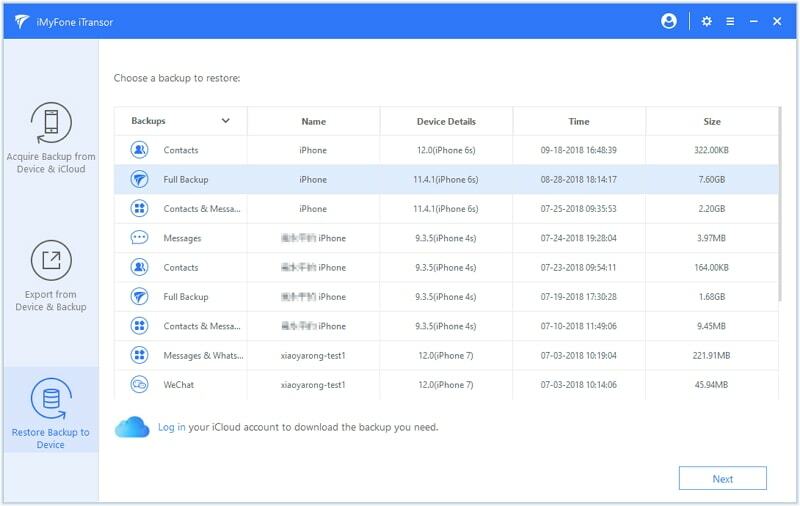 Backup just your WhatsApp, WeChat, contacts and messages, neglecting all other data on your device. The Backup and restore process is quick and easy and can be done in a single click. 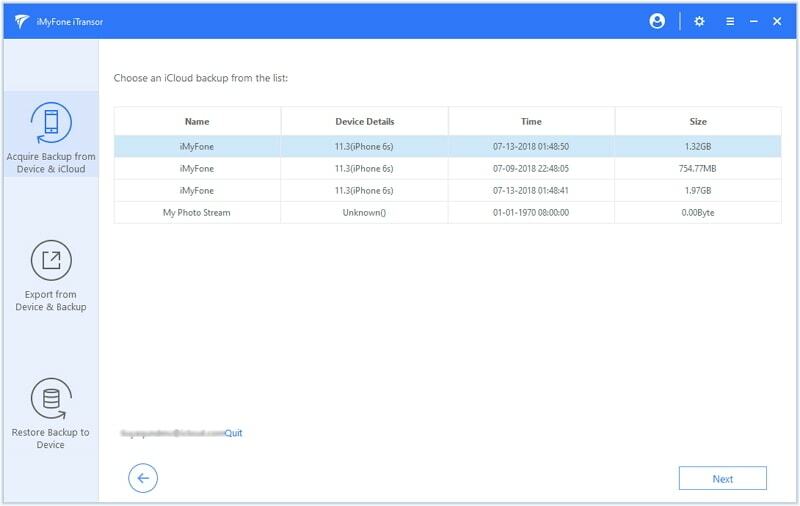 You can choose to restore a partial backup to your device without affecting other data on your device. 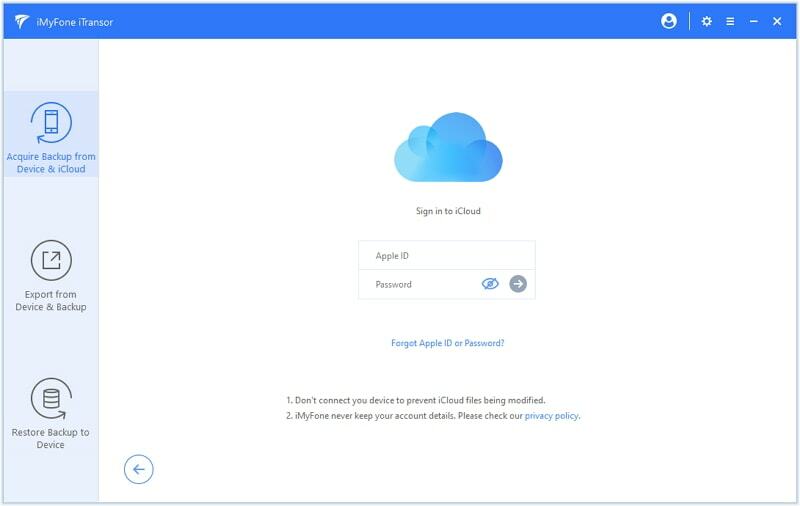 It allows you to export data from your iPhone, iTunes or iCloud backup file to your computer. It supprots iOS 12/11/10 ad etc. You can restore fully or partially with two different choices - Merge and Replace. To begin, install iTransor on the computer you use to sync with iTunes and then follow these simple steps to restore the contacts. Step 1: Launch the program and then choose "Restore Backup to Device." Select the relevant iTunes Backup. Then click "Restore Partial Backup". Step 2: You need to select contacts data type then. If the device is not connected, the program will prompt you to connect it. 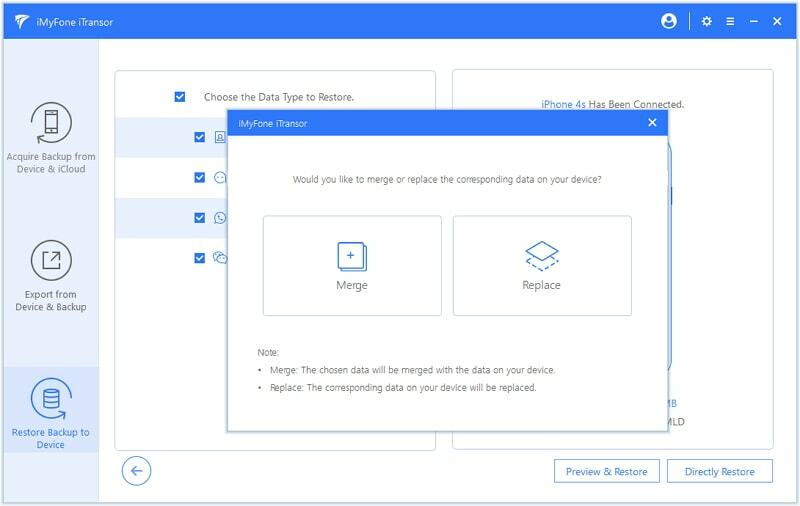 Step 3: Once you choose to restore directly or restore with previewing, you will make a choice between "Merge" and "Replace". Step 4: After this process finishes, you can view the restored contacts on your device. To restore your contacts from an iCloud backup file, follow these simple steps. Step 1: If your iCloud backup is not on the list when you open iTransor, click on "Log in" from the main window. Log in to your account and then choose the backup that contains the contacts you want. Click "Next" and the program will download the iCloud backup. 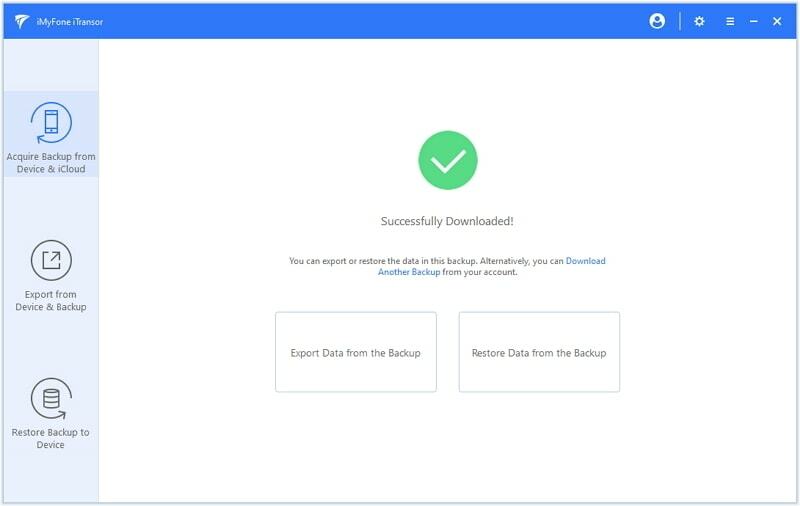 Step 2: After downloading it successfully, you can choose "Restore Data from the Backup". Step 3: Then you will see this interface and the left steps are the same as what we have listed in "How to Restore Only Contacts to iPhone X from iTunes ".